Mister Cleaner features 49 original Sokoban puzzles, split it 7 levels of 7 different eras that the player will travel, including the Stone Age, the Ancient Egypt, the Middle Ages or the Distant Future ... 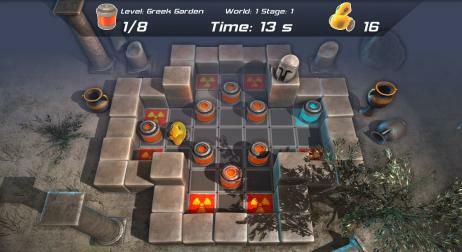 The graphics of the game are up to the modern standards, including complex shaders and a rich lighting scheme with realtime shadows and a volumetric atmosphere rendering. Mr. Cleaner is powered by a full-featured technology to render the most beautiful experience to date in this category of puzzle games.